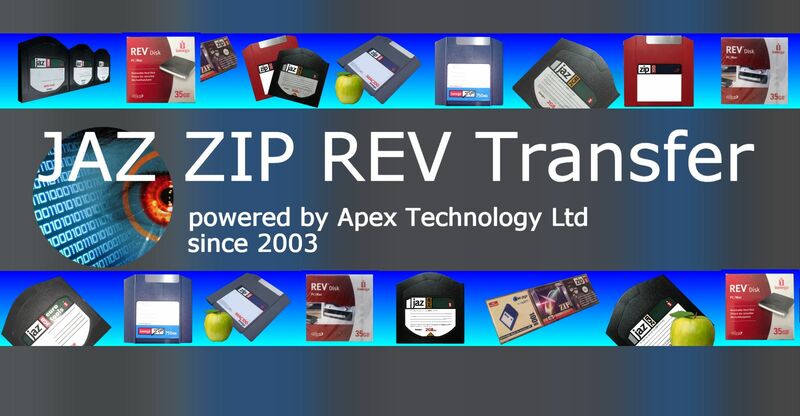 If you need a Jaz Rev and Zip disk conversions service, then contact our friendly company. Jaz Rev and Zip disk conversions from Iomega. This includes ZIP100, 250mb, 750mb, Jaz 1gb, Jaz 2gb, Rev 35gb, Rev 70gb, disks. All these disks were popular with Apple Mac and Windows PC computers and we can transfer files for easy acces to saty CD DVD or USB.